Not only is their name intoxicating, but the sight of them is as well. 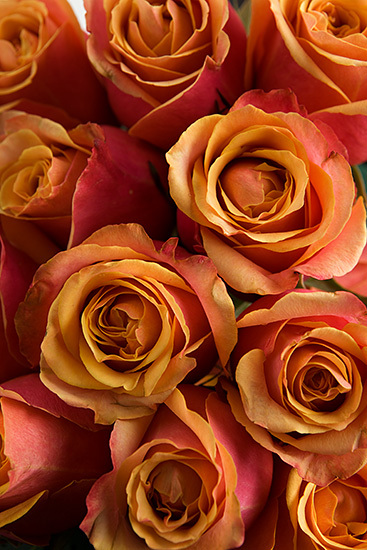 Cherry Brandy roses are loved for their bi-colored blooms that are bright fuchsia on the outside and sunny yellow on the inside. Your roses are picked at just the right moment, ensuring you roses that are the most exquisite and longest lasting you’ll find anywhere. Each wedding anniversary has a designated flower.The Rose is the traditional 15th Anniversary flower. Always add fresh water daily. Change water at least every couple of days. Cloudy or discolored water can indicate decomposition and bacterial growth. The temperature in which you store your flowers is important. Warmer temps will cause the flower to open quicker. Flowers last best in temps around 45 degrees. 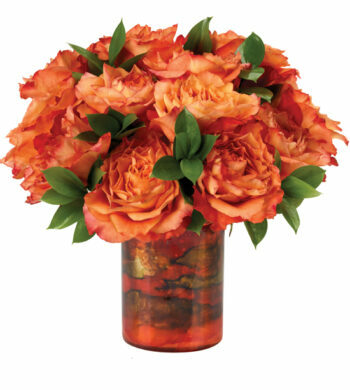 Keep flowers out of direct light in a place with good air circulation. Once the roses begin to bloom, place them in an area with less light so they will last longer.